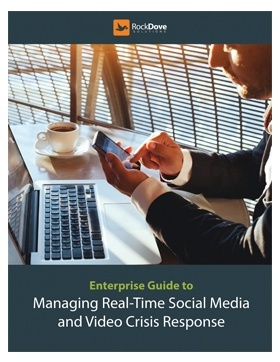 Respond faster and better than ever by leveraging the power of In Case of Crisis. 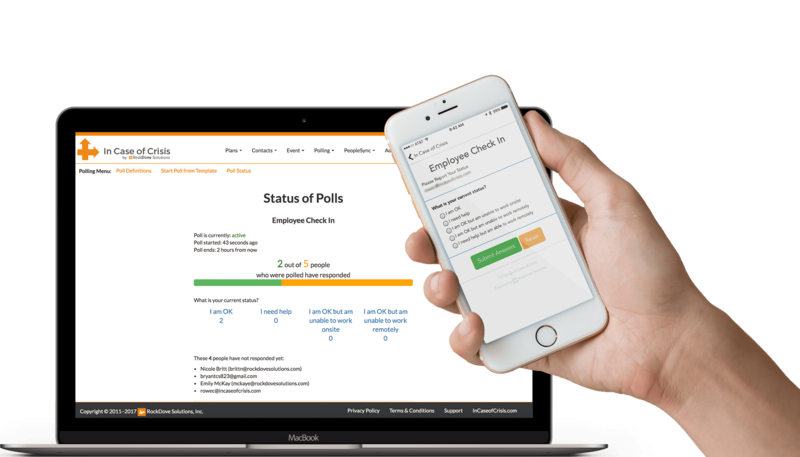 When an incident or crisis occurs, activate your people instantly with an alert notification, poll or incident report - wherever they are located. 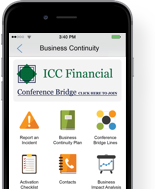 Transform lengthy documents into role, situation, and location sensitive digital playbooks that you can access at anytime, anywhere, always. 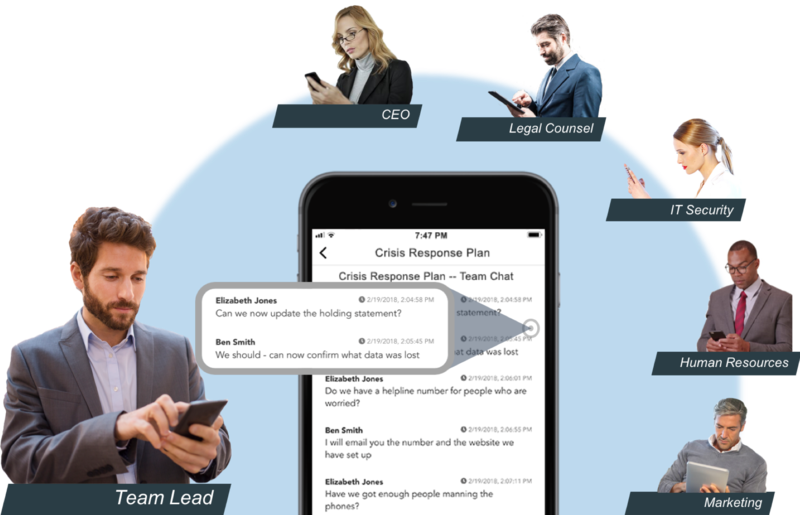 Effectively communicate with your people before, during, and after a crisis with the powerful suite of collaboration features such as shared checklists and secure chat. 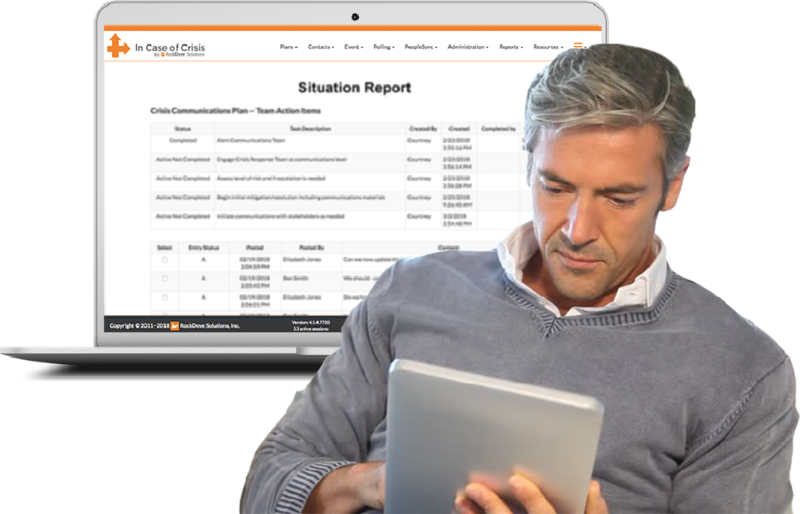 Our In Case of Crisis platform allows your to easily evaluate your results to analyze any milestones that may have occurred during a situation or crisis. 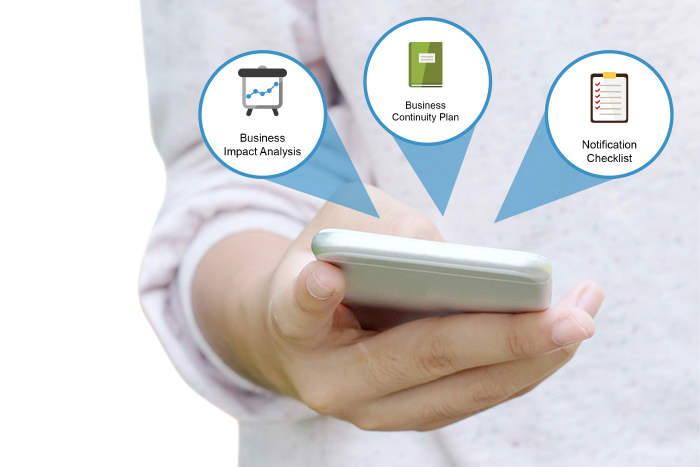 Reach your program goals with our World-Class Support. Your success is our success. We’re committed to providing you with the training and support you need to reach your program goals. 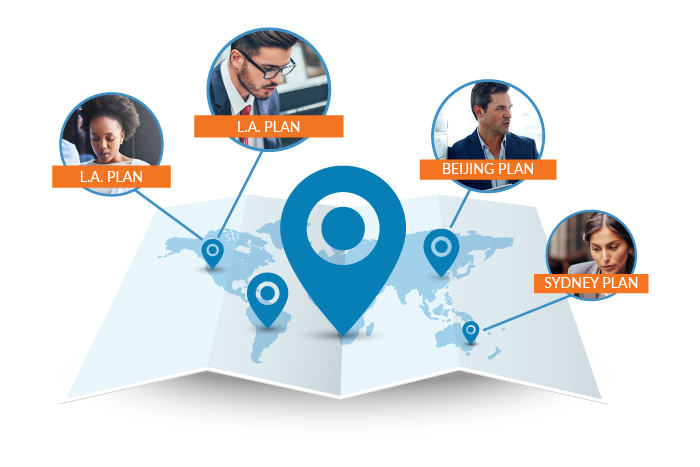 To ensure that happens, we dedicate a Client Success Manager to your efforts. You’ll start with a project kickoff, continue with training, then work together through launch and beyond.